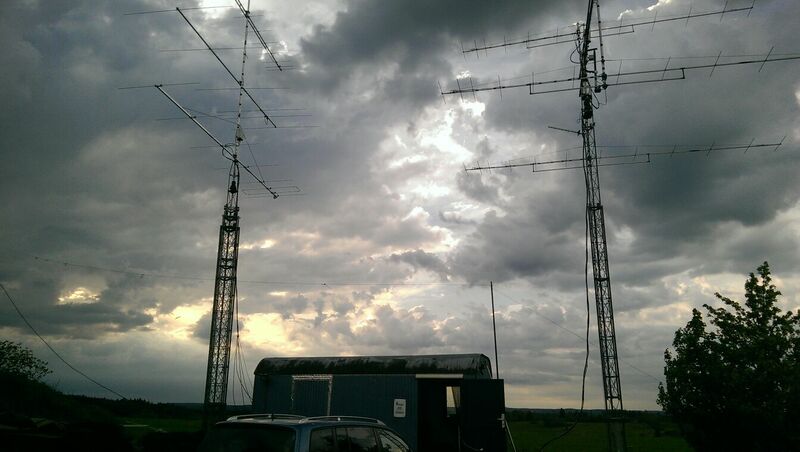 22.May 2016: Today it came true – the first sporadic-E opening on 2m for 2016. 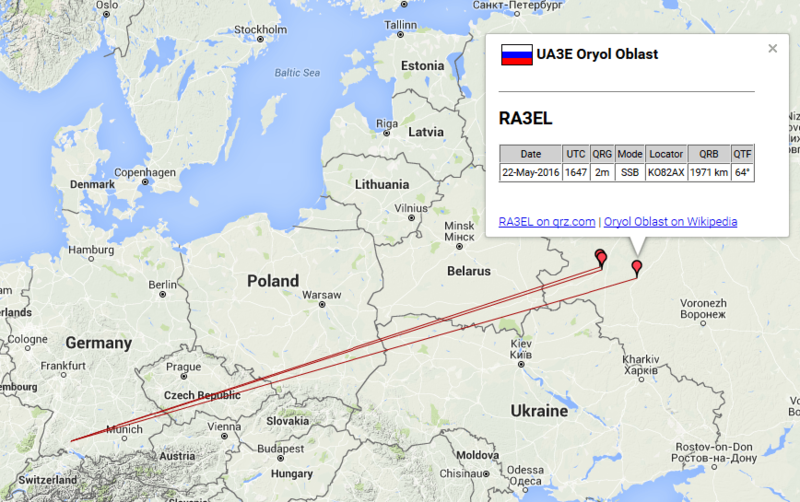 I was operating on the big 6m opening direction east to SV/YU/YO/ER/UA/OH. All stations came in with huge signals. Inspired by these strong signals I switched on 2m and began to listen. Suddenly I heard on 144.300 MHz those typical sporadic E “bursts” sounding like parts of words via meteor scatter and shortly after that the opening began. Sorry to say but I missed my 1.QSO by a logbook crash and I do not remember the call it was something with UR(7) ??? also from KO73. After the last QSO I had to shut down the station quickly because of a heavy T storm that was coming up.